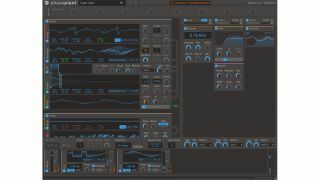 NAMM 2019: Swedish software developer Kilohearts is the brain behind the awesome multiband processing environment Multipass, in which the user loads individual effects modules called ‘Snapins’. Now, for 2019, the indie dev have incorporated this modular approach into its first virtual instrument, Phase Plant, which it demoed for us on the show floor at NAMM 2019. Admittedly inspired by UVI’s Falcon synth/sampler, Phase Plant is a fully modular virtual instrument, meaning that you can plug together your own combination of modules, then use any signal or parameter to modulate another. Unlike Falcon, however, Phase Plant has a streamlined single-window interface, divided into three distinct sections. The left Generator section is where you load oscillator modules, of which there are four: a wavetable oscillator, complete with presets, wavetable import and ‘draw your own waveform’ functionality; a sampler with audio drag-and-drop; an Analog oscillator for classic VA timbres; and a noise generator. You can, of course, click and load up as many signal generators as you like. Distortion and Filter effects can also be loaded up here. In true modular fashion, each oscillator can not only output a signal, but also be used to modulate other oscillator parameters at audio rates. This way, you can easily hook up FM, AM, phase distortion and ring modulation effects. Sonics aside, this ‘patch your own’ ethos is a great way to get your head around these more complex synthesis concepts. The Generator signal then feeds into Phase Plant’s three-lane Effects section, where you click and call up your choice of Snapin effects. Each Effects lane can be switched into Poly mode, meaning that each synth voice will be processed independently, and each lane features gain and dry/wet mix controls, mute/solo buttons and a routing matrix. Although you have to buy Snapins separately, either individually or in bundles, these are well worth collecting. 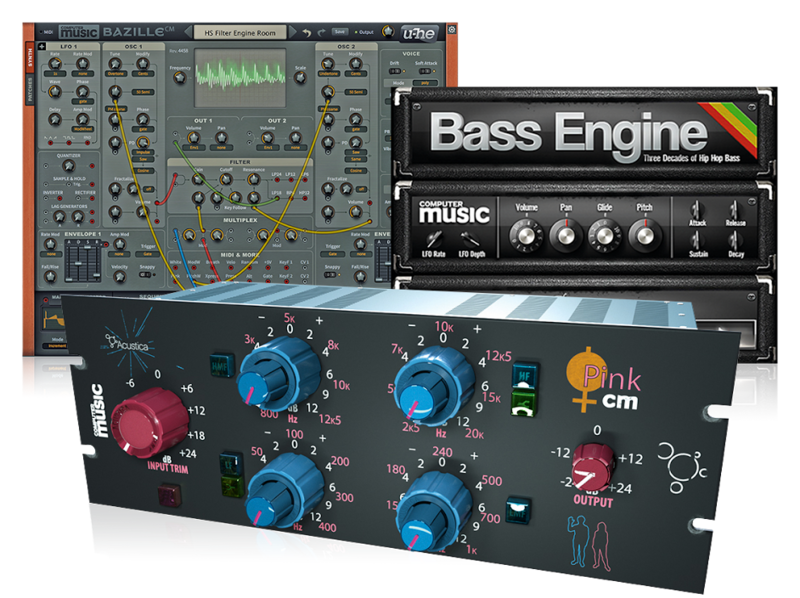 They can be used as VST/AU plugins in your DAW of choice, or within Kilohearts’ Multipass and free Snap Heap environments. These compact processors range from functional mixing devices through to modulation effects, creative tools and more. Mini versions of Kilohearts’ Disperser and Faturator effects are also in there. Phase Plant’s bottom lane is where you call up LFO and Envelope Modulators. The former can be edited, breakpoint style, facilitating the creation of custom curves and sequenced rhythms. The instrument’s intuitive approach to modular patching becomes apparent once you start connecting modules to each other. You simply click on an output node, click on another module’s input port, then set mod amount with the depth knob. An orange ring appears around the modulated parameter, and bounces around to visually indicate movement. Unlike similar tools that tangle you up in virtual patch cables, Phase Plant’s Serum-like mod process is simple but wholeheartedly effective. Eight assignable macro controls are also provided. On the NAMM Show floor, we sat down post-demo and set out to design a couple of presets. Within a few clicks, we managed to whip up an impressive wavetable-based bass patch featuring plenty of movement and intricacy. A particular highlight is the ability to wobble both oscillator and effects parameters - in our example, we used the same LFO to sweep a wavetable, distortion amount and delay rate. Instantly impressive stuff. With plenty of virtual modular environments on the market already, it takes something truly special to stand out from the crowd, but it looks like Kilohearts has nailed the balance between patchable complexity and one-window simplicity. We’re excited to dive deeper into Phase Plant - the deserving winner of MusicRadar’s Best Software of NAMM 2019 award - when it’s released later in 2019.